Hi everyone! So what’s happened in the past week? Last Monday I visited the lovely city of Manchester and I saw Ransom Riggs in conversation and attended his signing! It was so cool to meet him. Christmas is getting closer and closer, so I’ve been planning and buying presents and we’ve eaten our first mince pies (if you haven’t heard of these, don’t worry they don’t have meat in!). I’ve also been at uni as usual and carrying on with planning my second module. On the blog front, this week I posted my first section of my shelves masterlist, and published a brand new page! 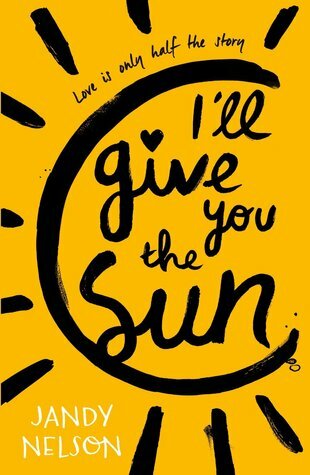 Today I’m back with a Beautiful Quote from I’ll Give You the Sun, a book that I’ve actually not posted a quote from before. I read it before I started this blog, and I definitely need to re-read it and post a review at some point! Lovely post 😊 I’ll Give You the Sun is just full of beautiful quotes! Thank you! Yess I adore it!